The National Security Agency (NSA) is collecting millions of images from global communications online to use in facial recognition programs that benefit worldwide surveillance operations, according to classified documents detailed by The New York Times. The NSA is using sophisticated softwares to harvest “millions of images per day” from email, text messages, social media, video conferences, and hundreds of other global communication lines according to new documents revealed by former NSA contractor Edward Snowden. In the past the NSA primarily focused on the collection of email and telephone communications, but NSA officials believe new programs hold “tremendous untapped potential” that could change the way the NSA tracks surveillance targets, according to the obtained documents. “It’s not just the traditional communications we’re after: It’s taking a full-arsenal approach that digitally exploits the clues a target leaves behind in their regular activities on the net to compile biographic and biometric information” that can help “implement precision targeting,” stated a 2010 document. The New York Times detailed one NSA PowerPoint presentation from 2011 of an unidentified man in different settings – sometimes bearded, and other times clean shaven – along with multiple data points on the individual. Such as whether he was on the no-fly list, passport and visa status, known associates, and dozens of other data points. It is unknown how many images the NSA has collected or collects. “We would not be doing our job if we didn’t seek ways to continuously improve the precision of signals intelligence activities — aiming to counteract the efforts of valid foreign intelligence targets to disguise themselves or conceal plans to harm the United States and its allies,” NSA spokeswoman, Vanee M. Vines, told the New York Times. Although facial recognition technology has attracted attention from various commercial agencies, it’s acceptance is unsteady. 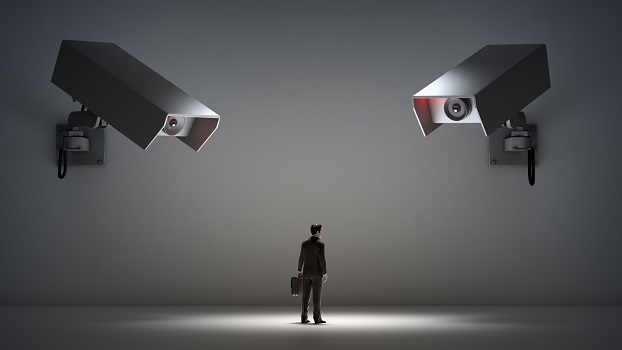 Privacy advocates raised concern over such technology in April. Concerns regarded the facial-recognition database begin developed by the FBI and how it would be used. The FBI raised points that it could be a great crime-fighting tool, but the Electronic Frontier Foundation combated statements saying the agency could use technologies for non-criminal purposes. As facial recognition technology works its way into the world, the recognition tools itself are still clumsy. Such programs have issues identifying sources with low resolution pictures, side view images, along with other non full frontal views. As the technology is emerging, it is unclear where it is headed. What they leave out of the story is that Facebook has laid the groundwork for them by building an extensive facial database already! Indeed they have. Facebook was mentioned in some other articles online, there was not enough concrete evidence for me to add it, but they have indeed.